This Digital Terrain Model (DTM) was produced as part of a project to understand Martian lava flows. It was constructed from a pair of Mars Reconnaissance Orbiter Context Camera (CTX) images using the stereo photogrammetry software SOCET SET (BAE Systems). The DTM has been used to orthorectify the input images at 6 m/pixel. The orthorectified images are available under the “Derived Products” section on the right of this page. 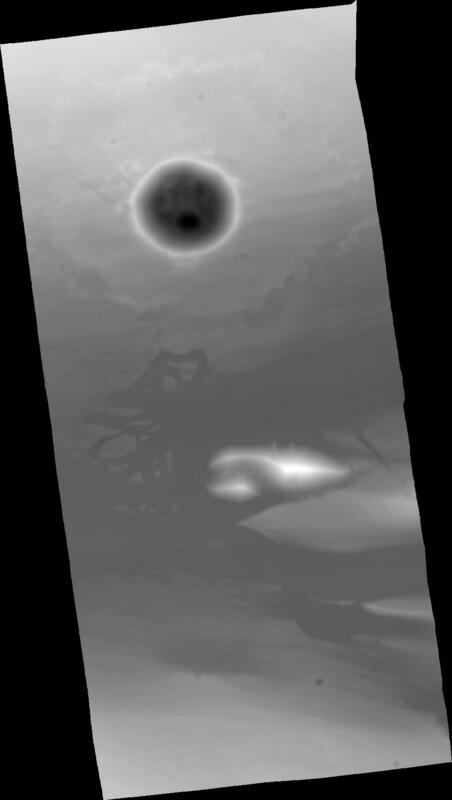 This DTM was produced to understand the properties of large lava flows on Mars.